Looking for a great Christmas/Winter Wonderland experience? 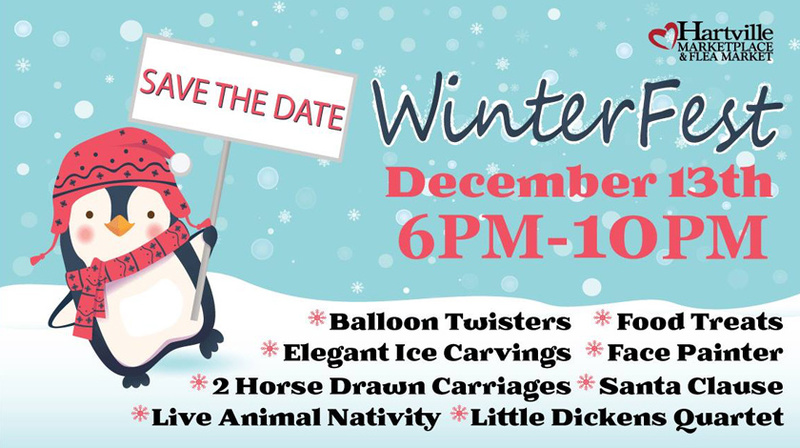 Be sure to check out our Winterfest at the Hartville MarketPlace on Friday, December 13th from 6:00-10:00. This year we will be having 2 horse drawn carriages, a live animal Christmas nativity, ice carvings, face painter, balloon twisters, and much more! Be sure to stop for a picture with Santa!